Synopsis: A love triangle unfolding in the electronic age illustrates all that can go wrong (and right) by this new form of (mis)communication.SAVE AS DRAFT@Readers A love triangle evolving over e-mails, texts, and Facebook messages that makes you wonder if the things we leave unsaid—or rather unsent—could change the story of our lives. My Review: I LOVED IT! As you know if it is chick lit.....let me read it! This book did not let me down. Ms. Lee knows her chick lit. This book is written in email format....which I love. It makes the book so easy to pick up and put down during my busy life. I also can read for hours in that format! The characters come to life through the book and are very relate-able. 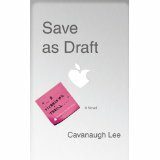 Save as Draft has its fair share of humor, drama, twists and turns. I could not wait to get back to Izzy and her friends. This is a must read! Whoooo Hooooo for Chick Lit! Thanks to the publisher for providing me with a review copy. This was in exchange for an honest review.